Genomics, Medicine, and Pseudoscience: Should we all take aspirin? Not so fast. Should we all take aspirin? Not so fast. I thought we'd put this one to bed. A large-scale study showed that low-dose aspirin (one quarter of a standard 325 mg pill, or about 81 mg) taken once a day can prevent heart attacks and some common types of cancer, including colon cancer. I wrote about this topic just over a year ago, and I've followed my own advice, taking daily 81mg aspirins since then. The US Preventative Services Task Force recommends this too: regular, low-dose aspirin for people between the ages of 50 and 69 helps to prevent heart attacks, strokes and some types of cancer. But now, a new study just published in The Lancet upends that advice. It's not that the previous study was wrong–it wasn't. 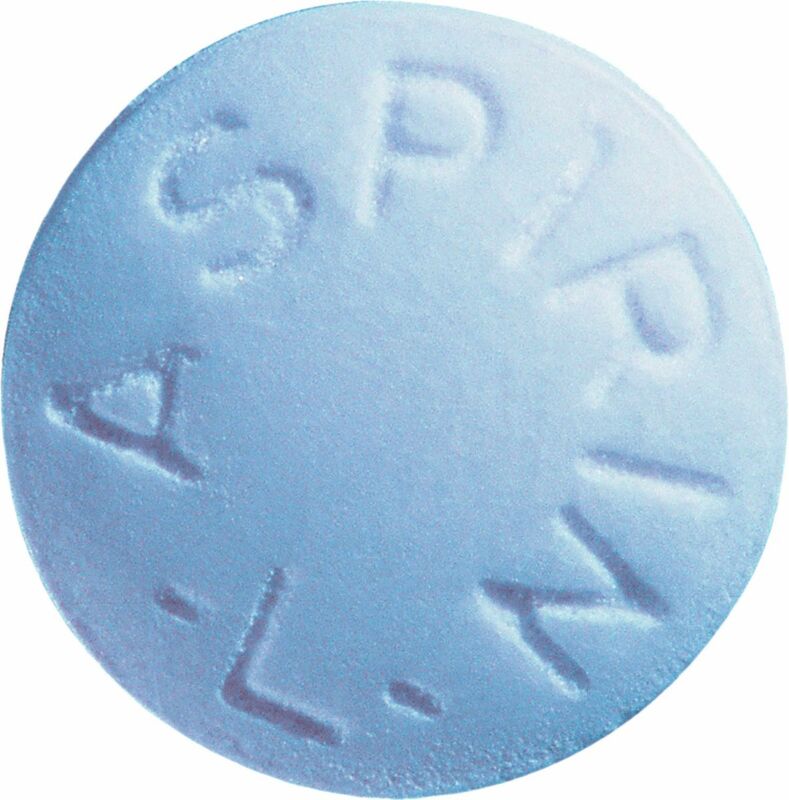 It's just that the effects of aspirin vary significantly based on body weight. Essentially, the new study finds, almost all of the benefits accrue to people who weigh 70 kilograms (154 pounds) or less. 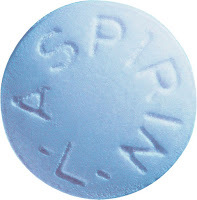 The good news, for people who weigh between 50 and 70 kg (110-154 lbs), is that the benefits of daily low-dose aspirin are quite good, possibly even better than we thought. The relative risk of a heart attack, stroke, or other major heart-related event is about 25% lower for people in this group. The bad news, for the rest of us, is that we seem to get no heart-related benefits from taking a daily low-dose aspirin. So perhaps those of us who weigh more than 70 kg just need a slightly larger daily aspirin pill. There is some good news here: Rothwell and colleagues found that, indeed, higher doses of aspirin are effective at reducing the risk of heart attacks for people who weigh more than 70 kg. This makes sense: adjusting the dosage based on weight is how most drugs are given. The problem is that aspirin generally comes in only 3 pill sizes: 81, 325, and 500 mg. So the studies have only looked at these 3 doses, and 325 mg is likely too large a dose for most people, because it increases the risk of bleeding events. What about the cancer risk? As I wrote in 2017, the biggest benefit from daily low-dose aspirin is its reduction in the risk of colon cancer, breast cancer, and prostate cancer. Here, the new study doesn't quite give the whole picture, because it didn't look at breast cancer or prostate cancer. For colon cancer, low-dose aspirin reduces the risk significantly for people who weigh less than 70 kg. For heavier people, low-dose aspirin had little to no effect on colon cancer risk, but regular-sized aspirin (325 mg) worked for people up to 80 kg (176 lbs). "The one-dose-fits-all strategy for daily aspirin use is unlikely to be optimal." In other words, you will probably benefit from daily aspirin, but the amount you should take depends on your weight. If you weigh less than 70 kg, the 81-mg tablets that you can find almost anywhere will do nicely. But what if you weigh more (as most men and many women do)? The science doesn't yet give us an answer: you could simply take 2 low-dose pills a day, but too much aspirin increases the risk of serious bleeding events. You could instead take a few extra pills per week, depending on your weight, which is what I'm going to do, at least until we get better data and more precise guidelines. European Union gets it wrong on GMOS. Again.